"WOW! Here’s something that could be even better than BMX!” Greg fell in love with yoga the first time he tried it. That was over 13 years ago and he’s been trying to do more ever since. It all started in the kitchen, on a purple mat listening to metal (Moonsorrow, High on Fire, etc) and trying to learn Ashtanga yoga. As he practiced he discovered yoga to be an integral part of becoming fully alive, fully human, and that practicing at yoga studios with others is pretty rad! 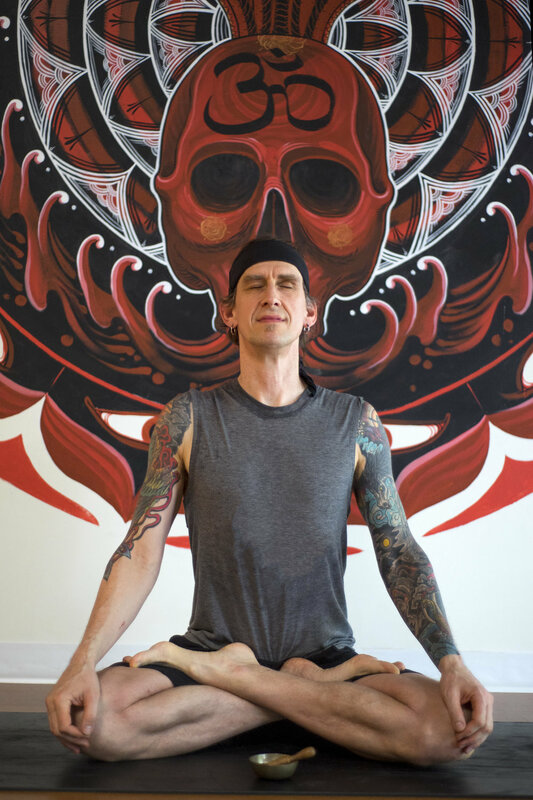 Greg has studied alignment-based yoga in the Anusara tradition for 7+ years and in 2012 completed the Body of Light teacher training with Gina Minyard. In addition to being RYT200, in 2014 he earned Yogahour certification with Darren Rhodes. Greg also studies and teaches the revolutionary musculoskeletal self-treatment program Quick Self Fixes, and is deepening his practice of meditation, prayer and the study of sacred texts and spiritual transformation in the path of his master.